The early settlers of Indiana knew the importance of education, and built the Weddleville school building on land donated by George W. Carr, Sr. in 1857. Building the school was a true community effort, as community members bought 20 dollar shares to cover construction expenses. School began in March of 1858, and continued until 1934. It was the first high school in Carr Township and is one of the oldest remaining pre-Civil War high school buildings in the state. The school house remained empty and abandoned until 1940 when the Lutheran Federation of Jackson County sent Reverend Ben Schumacher to the area. After World War II, Reverend Melvin Mays conducted Congregational Christian church services there. Mr. and Mrs. Charles Darkis were married there in 1959. The building was abandoned in 1963 and remained empty and deteriorating for some time. The Seymour Heritage Foundation gained ownership of the building in 2002 and deeded the property to the Weddleville Cemetery association in 2007. 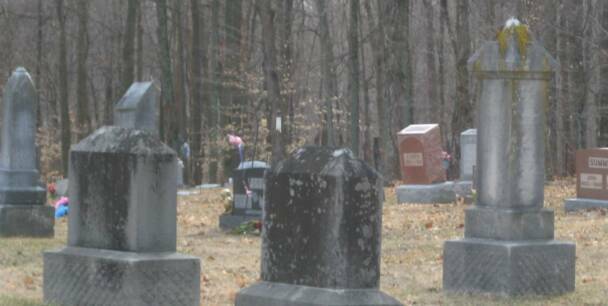 The Weddleville Cemetery association cares for the grounds and has begun restoration of the building. The historic Weddleville School House, also known as Carr High School, was listed on the Indiana State Register of Historic Sites and Structures on October 25, 1978, and the National Register of Historic places on December 15, 2011. The adjoining Historic Weddleville Cemetery property was deeded to the community by Nancy McHargue in 1892, the earliest marker, Fielding McHargue, is also dated 1892. Veterans of the Civil War, WWI, WWII and Vietnam are buried there. The cemetery is still active. .Weddleville Old Settlers' Bean Dinner and Volunteer Appreciation Day. August 19, 2017. Historically, the Old Settlers of the Pea Ridge area held a Homecoming Picnic on the 3rd Saturday in August. The Weddleville Cemetery Association is reviving this tradition with a free Bean Dinner at the Historic Carr High School. The High School is located 5 miles west of Medora on County Road 250 South. Everyone is invited to come and enjoy a day in the country and reminisce with friends, old and new. Come and see the latest restoration efforts and hear about the plans for continuing to maintain this wonderful reminder of simpler times.